Avast Ye! Prepare to return fire. 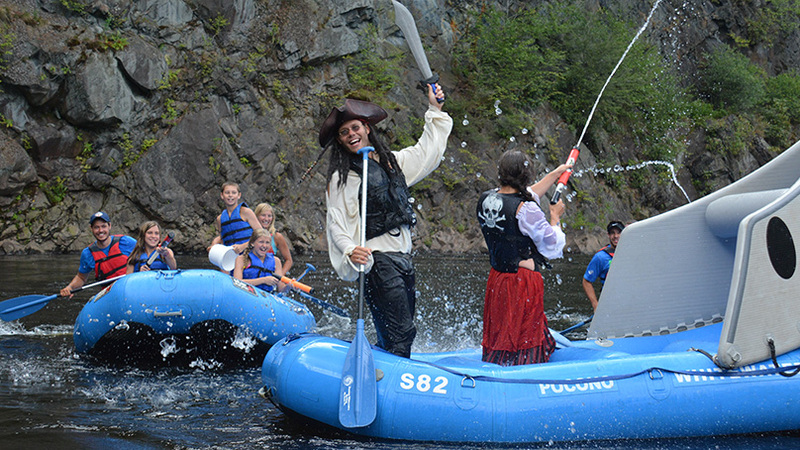 Yo ho ho, the mighty Lehigh River is being invaded by our very own crew of Pocono Pirates! 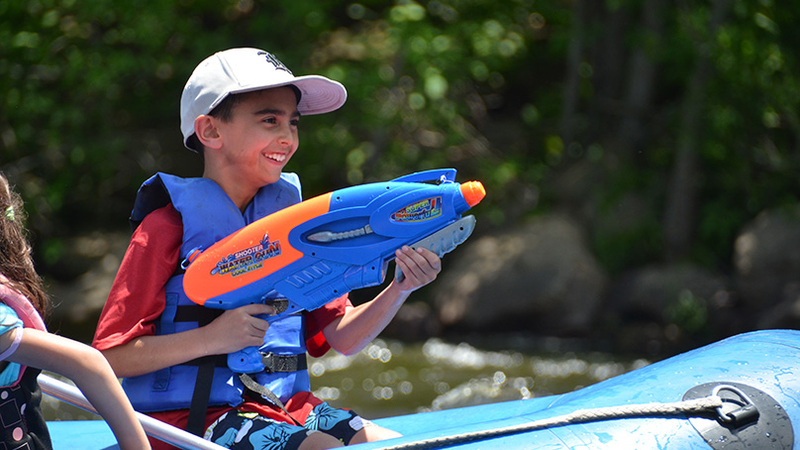 Arrgh, Captain Jack and his crew are armed with water cannons and planning a friendly attack on your whitewater raft. 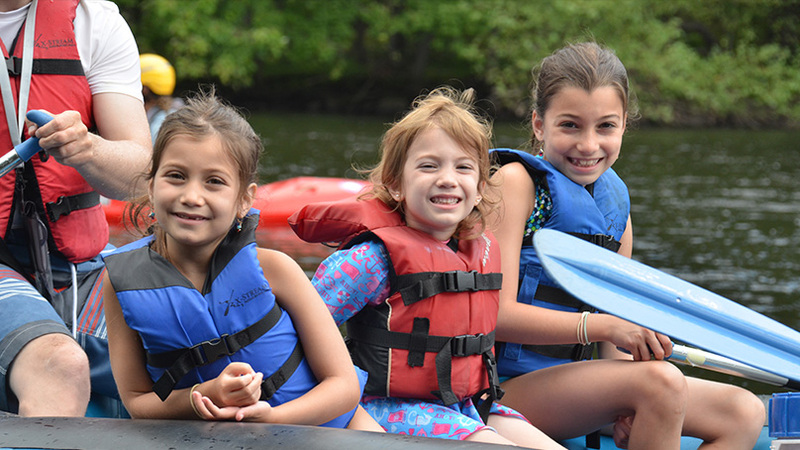 Pocono Pirate Rafting is an exclusive family style whitewater rafting adventure with Class I, II and a touch of III whitewater rapids. 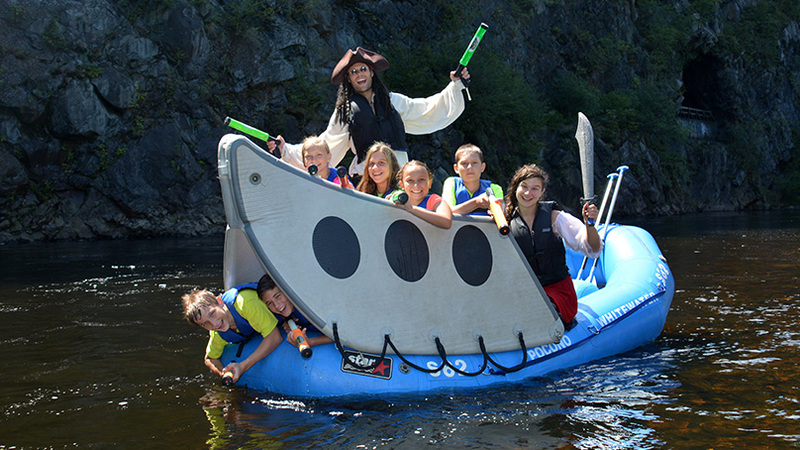 We have worked with the top raft designers in the world to create a custom pirate ship that is available only at Pocono Whitewater in Jim Thorpe. Forgot your pirate gear? No need to get your waistcoat in a bunch. If you need pirate gear or forgot your Jolly Roger flag and water gun, we have you covered. In fact, just visit the “Pirate Cove” in our rafting souvenir shop for all your pirate needs. 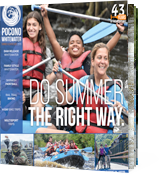 Join Pocono Whitewater on the Lehigh River and enjoy this unique rafting experience as our pirate crew invades your whitewater rafting trip! 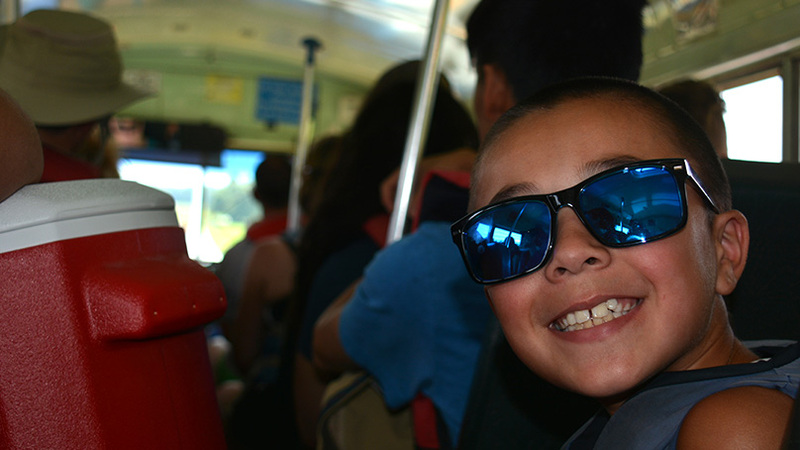 Want to reserve not only a Pocono Pirate rafting adventure, but also a day full of memories to last a lifetime? 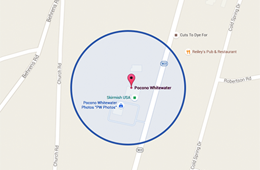 Please give us a call at 1-800-Whitewater (1-800-944-8392). You’ll love our Pocono Whitewater Rafting Adventures! If you would like to reserve a Pocono Pirate rafting adventure, please give us a call at 1-800-Whitewater (1-800-944-8392). If you are looking for something a little more adventurous, our Dam Release Whitewater Rafting Trip is an alternate option.